Cassandra “Cassey” Nicholl, an eighth grade student at North Myrtle Beach Middle School, earned rave reviews after delivering her award-winning essay on how a golf course can benefit a community to international golf industry leaders on Oct. 3 at Hilton head Island. 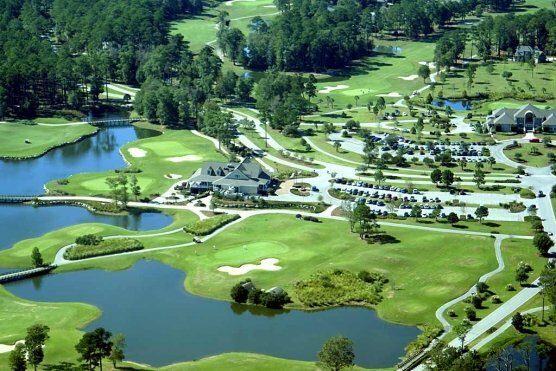 Nicholl spoke in front of about 100 golf industry leaders from 11 states, Canada and Scotland attending a two-day “Sustainability in non-profit organization promoting “zero waste” on golf courses, hosted the two-day event at Sea Pines Resort. “I was a little nervous, but at the same time, excited to be there,” said Nicholl, who had already read the speech to a gathering of 200 teachers and students at Whittemore Park Middle School in Conway. Nicholl, the daughter of Dunes Golf and Beach Club golf professional Dennis Nicholl, was invited by Experience Green’s Teresa Wade, who had received the essay from a golf writer after Nicholl won Horry County Soil & Water Conservation District’s county-wide essay contest. Dennis Nicholl said the invitation for his daughter to kick off a symposium on “Sustainability of Golf…Beyond the Green” came from “out of the blue.” Her audience included course owners, course and resort managers, PGA professionals, and golf course superintendents. More than 3,700 Horry County School District students in the seventh grade participated in the essay contest last spring with winners chosen from each school in the district. Students were asked to write about what should be done with imaginary undeveloped land with respect to watershed and the impact on the environment. Nicholl’s essay was selected the best in the entire district and she was recognized formally at the Horry County Soil and Water Conservation’s Oct. 24 meeting. Nicholl’s essay explains that golf courses improves aesthetics, provide wildlife habitat, protect soil from erosion, act as a rain filter, improve air quality, boost the local economy and restore undesirable land. Click here to read Cassandra's Essay!